You’d have to be living in an Instagram free cave not to have noticed there’s an avocado on toast craze going on. A quick google search will bring you up pages of recipes full of thousands of variations on the avo toast theme. Here I’ve gone for the classic version. Simple, healthy and delicious it’s one of my favourite weekday breakfasts. A fat layer of buttery avocado on a piece of crunchy warm toast, with a spicy hit from the chilli flakes, what could be better. Place the avocado in a bowl and lightly mash. Add a squeeze of some lemon, then stir in the chilli flakes, coriander and salt. Taste and add more chilli flakes and salt if needed. 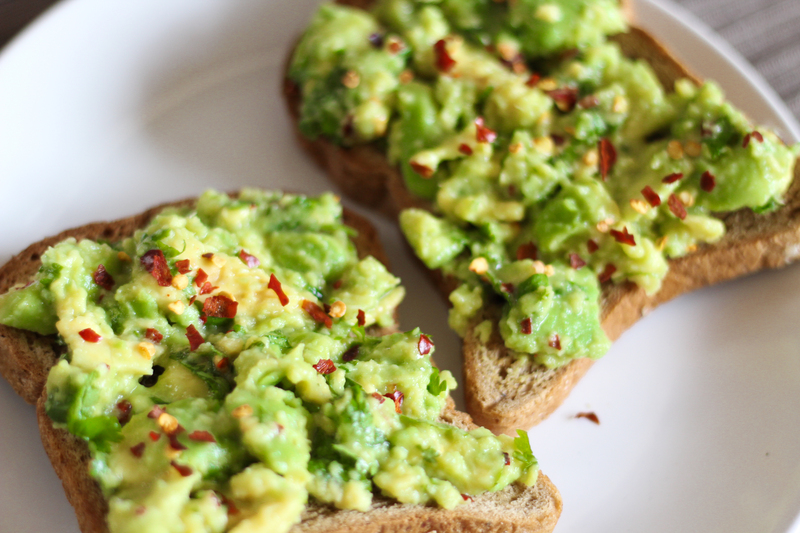 Toast your bread, then top with the avocado mix. Drizzle with a little olive oil and enjoy!